This article is intended to bring a little more awareness to the way we travel and to show you how, by taking small steps, we can all contribute to a way of traveling that is more sustainable, supportive of the local economy and the local people, and protective of the natural and cultural heritage. Or even better, walk. 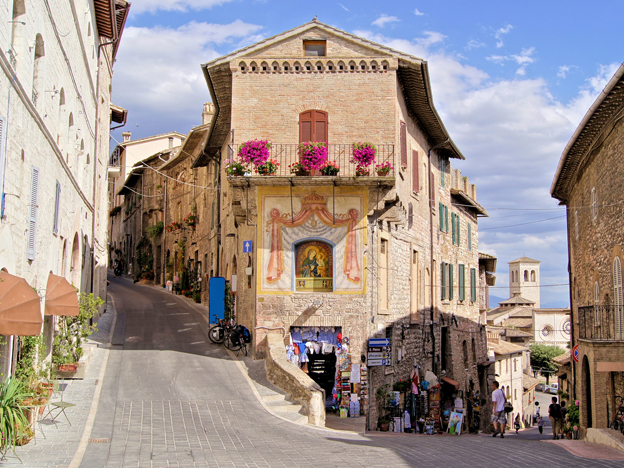 Most city centers in Italy are small and compact. Exploring them on foot is the best way to absorb the atmosphere of the place and notice things you otherwise wouldn’t. Plus, it helps you stay fit and splurging on pasta won’t feel as guilty! When you need to reach somewhere farther, or for travel within cities, use public transportation. The bus and rail system in Italy is very good in terms of connections (a bit less in terms of being on time, but that’s part of the cultural experience). I have recently signed up with a trekking organization, which favors public transport to get to the hike’s starting point and I’ve been very surprised to find out how many seemingly remote places you can reach by bus and train. If you need to use a car, opt for the most fuel-efficient car available, which will also save you money on gas (and gas isn’t cheap in Italy, especially compared to the U.S.). Or rent a hybrid. Many properties now pay more attention to environmental-friendly practices, for example they don’t change sheets and towels every day unless it’s requested and use refillable soaps and body wash. This isn’t a time when it’s difficult to do some research online to find out if the place where you’ll be staying is eco-friendly. Find out about trash disposal and recycling, water conservation, and energy use. When you leave the room, don’t leave the lights or the air conditioning on (although many places now have those switched off automatically when you take out the key card from the wall slot). Also, a great way to support the local economy and therefore be more sustainable is to stay at family-owned or locally-owned properties, rather than at chain hotels. I recently stayed at a family-run, eco-friendly hotel in Trentino which even offers tours of the property to show their environmentally-friendly practices. 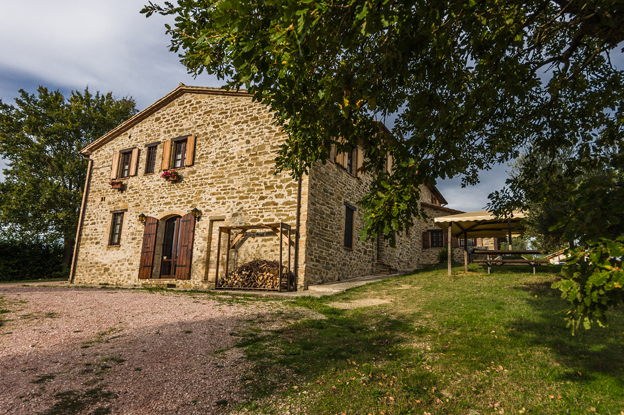 Legambiente, a major Italian environmental association, has a website with a list of eco-friendly properties. Another great way to support the local economy is to buy from artisans and independently-owned shops rather than chains, or, even worse, sidewalk vendors selling illegally fake handbags, sunglasses and the likes. Artisanal tradition is strong in Italy, but of course it is suffering from an economy that is based on mass production. By buying from local artisans, you will help keep alive centuries-old traditions that may otherwise be dying. During a trip to Romagna last year, I discovered the shop of a brother-sister team carrying on the tradition of hand printing on fabric, a decorative folk art typical of the region. Their workshop dates to the 17th century! What a great experience it was to see them at work. 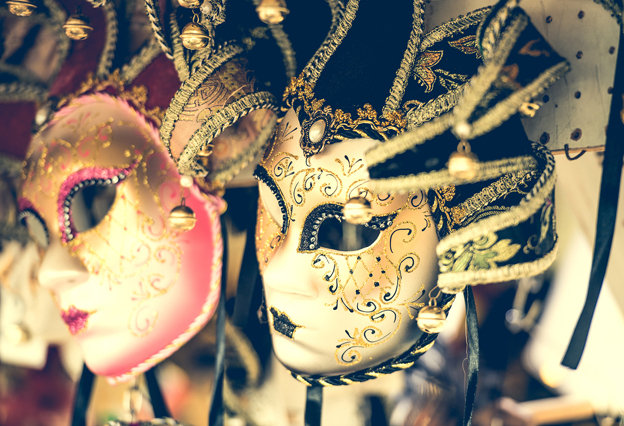 As for souvenirs to take home, Venetian carnival masks and Florentine leather are some of Italy’s most iconic ones, but also some of the most counterfeited. Laura Morelli, the author of several guides about shopping for authentic artisanal goods in Italy (and there are plenty!) says that the best practice is to “buy directly from the maker whenever possible.” You may even get the chance to see the artisan at work, and that would be an invaluable experience. Eat at locally owned and operated restaurants favoring Italian products. You’ll be contributing to the local economy and to the reduction of greenhouse gas emissions since local food doesn’t need to be transported by truck or plane over long distances. Also, eat what’s in season! Eating something that is not in season means that the product is imported, therefore not even authentic. Produce that is in season is much tastier and more nutritious anyway. Prefer local dishes. The variety of regional cuisine in Italy is outstanding and trying local delicacies will not only support the local agriculture, but also helps you get closer to the local culture since culinary traditions are such an important aspect of life in Italy. Last but not least, slow down! Our usually hurried pace of life doesn’t need to be replicated when we travel – so, rather than cramming an excessive number of must-see sights and museums in a few days, which only contributes to make us feel stressed for time even on vacation, how about slowing down a bit and actually savor the scenery, the heritage, the lifestyle of a place. The enrichment of travel isn’t about how many places you’ve seen, but what you’ve gotten out of the experience. Have you come across a place or a situation that you’re really loving? Linger on even if your travel schedule says otherwise. Walking is a wonderful way to put slow travel in practice. It will help you get closer to the life and pulse of a place. Italy has wonderful natural landscapes steeped in history that call for exploration on foot – say a long-distance walk such as the Way of St. Francis, or shorter walks, such as in the Lakes area (we’ll be writing about more walking experiences in our Walking Italy series). 15 Unesco Sites in Italy At Risk of Disappearing?